Over 50 years of refined Taylor Family Merino breeding has resulted in consistently stylish and soft SRS ® wools beautifully suited to grow in high rainfall areas. The selective use of Keri Keri Merino genetics to enhance carcass shape, fertility and resilience has produced a consistently profitable and low maintenance sheep. Over the past 10 years the majority of Boxleigh Park’s top Sires have been bred from within the stud, resulting in a naturally predictable and replicable pattern of consistency. This explains the Boxleigh Park’s distinctive look and type. 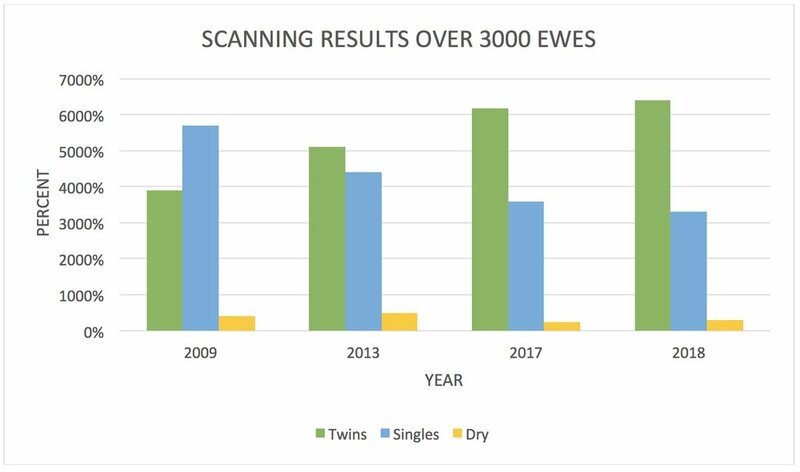 For the past 3 years across our 3000 breeding ewes the lambing percentage has been over 130%. This is due to the superior strength and elasticity of the Boxleigh Park wool fibre.